The “Mea Culpas” and “Woulda-Coulda-Shouldas” have all been said. Austin Nichols insists he has made peace with himself, and the game his 6-10 frame always seemed destined to play – and dominate. 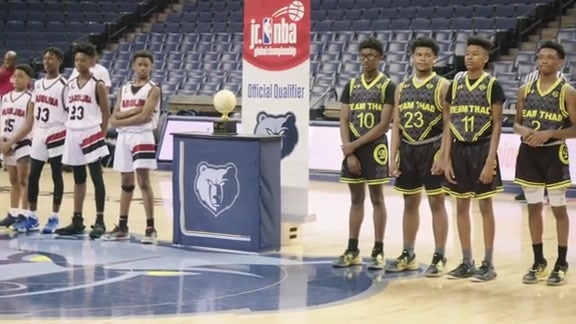 Now, it’s strictly about what Nichols can do with a basketball in his hands back on his home turf as a member of the Memphis Hustle, the Grizzlies’ NBA G League team. Nichols’ emotional journey comes full circle on Friday, when he plays in a game at FedExForum for the first time since he acrimoniously transferred from the University of Memphis two years ago. The Hustle will face Salt Lake City on Friday as Memphis’ expansion NBA G League franchise uses the Thanksgiving holiday break to play their lone game of the season at their NBA affiliate’s arena. It’s also a showcase moment for Nichols, who is coming off the best performance of the season as the former five-star prep recruit and ex-Tigers standout gets reacquainted with a familiar fan base. Nichols made his first start on Tuesday and finished with season highs of 15 points, 11 rebounds, three blocks and three steals in 30 minutes during a road loss to Rio Grande Valley. That was a breakout effort for Nichols, but it’s also part of the gradual building process for the player and team. There is one big difference this time around, according to Hustle Head Coach Glynn Cyprien – who helped recruit Nichols to the University of Memphis during his stint as an assistant to Josh Pastner. Everywhere the 23-year-old has gone – from being a Prep All-American at Briarcrest through two tumultuous years with the Tigers and then a one-game “team rules” flameout with the University of Virginia – Nichols was expected to carry his team until the NBA called his name on draft night. This time around, Cyprien said, the bar starts low, and expectations will build gradually. An eye injury kept Nichols out of the Hustle’s first two games, but there have been some encouraging moments since then. In a win at Canton, he logged 17 minutes and scored 14 points on 6-of-11 shooting, including his first trey. He also blocked two shots and got five rebounds but had three fouls and four turnovers. Entering Friday’s game, Nichols is averaging 8.8 points, 4.8 rebounds and 2.0 blocks. Nichols said he’s leaned more on Jarell Martin, a first-round pick three years ago who has been fighting each year to secure an opportunity in the Grizzlies’ rotation. While he puts his game back together with the Hustle, Nichols is also going about the business of putting his life back together. He was the American Athletic Conference Freshman of the Year and made first-team all-AAC as a sophomore. But Nichols then announced he was leaving the Tigers in July 2014, one of a parade of high-level recruits whose departure eventually led to Pastner’s leaving for Georgia Tech. As a “hometown hero” Nichols’ exit left many Tigers fans angry and hurt. During the year’s wait after the transfer, he found the expectations didn’t let up in Charlottesville. Nichols said a lot of people kept expecting him to be an All-American from Day One, and that it “got all in my head” and piled up inside. That led to his dismissal from the Virginia program after playing just one game in 2016-17. That was the “slap in the face moment” that led Nichols – who is 20 hours from his degree in drama – to start sorting out what he wanted and needed to do with his life. He said the burnout started to fade during the NCAA tournament last spring. Nichols had workouts with Boston and Toronto, but got injured during the Raptors’ workout and was sidelined for a couple of months. The Grizzlies moved their G-League team from Iowa to the Landers Center in Southaven, Miss., and the dance with Nichols began. Nichols said all he had to do was look at his frame and embrace a fresh outlook. It starts with the Grizzlies-Hustle coaches and trainers, and his family in Collierville. Nichols insists he’s learned from mistakes in the past and is focused on rebuilding his basketball career with the Hustle. The contents of this page have not been reviewed or endorsed by the Memphis Grizzlies. All opinions expressed by Pete Wickam are solely his own and do not reflect the opinions of the Memphis Grizzlies or its Basketball Operations staff, owners, parent companies, partners or sponsors. 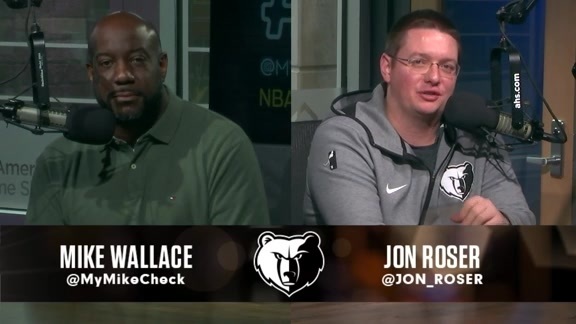 His sources are not known to the Memphis Grizzlies and he has no special access to information beyond the access and privileges that go along with being an NBA accredited member of the media.